Packing your baby bag does not have to be complicated, stressful, or expensive. 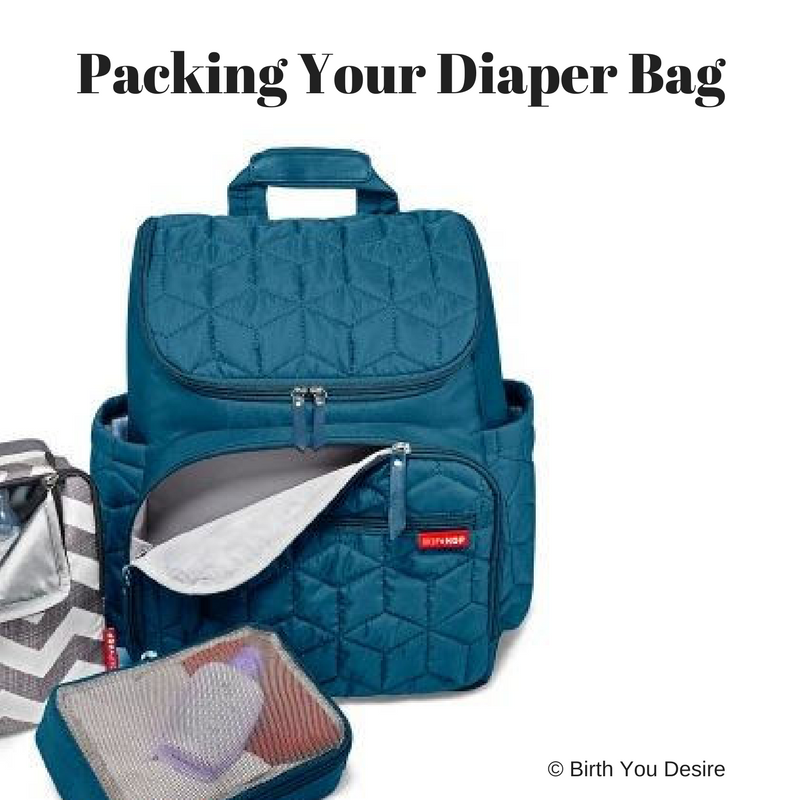 Here is a practical packing list for a baby bag. You don’t need to have a bag that looks like a diaper bag. Backpacks, bike messenger bags, or even an oversized bag will all work as a baby bag. Some couples choose to have their own bags and others share a unisex bag. Ultimately choose one that is comfortable on your body, is easy to access for gear, and you would like to carry everyday. I would even encourage you to consider using it after the diaper stage. Consider having a second packed bag in your car at all times for the extras you don’t want to carry everywhere. Some suggestions would include another outfit and blanket for baby, a clear shirt for the parents, and extra diapers and wipes. Every parent should consider carring baby cornstarch powder with them. It is wonderful to remove sand or bark chips off the baby’s delicate skin. Simply dust the area with powder and then they brush off without tears. And last but not least, store your wipes in a ziplock bag even if they come in a cute carrying case. In the heat, your wipes with dry out and be useless unless you store them in a ziplock. In fact you can now buy the bonus sized wipes and simply carry them in a ziplock and lighten your baby bag load.